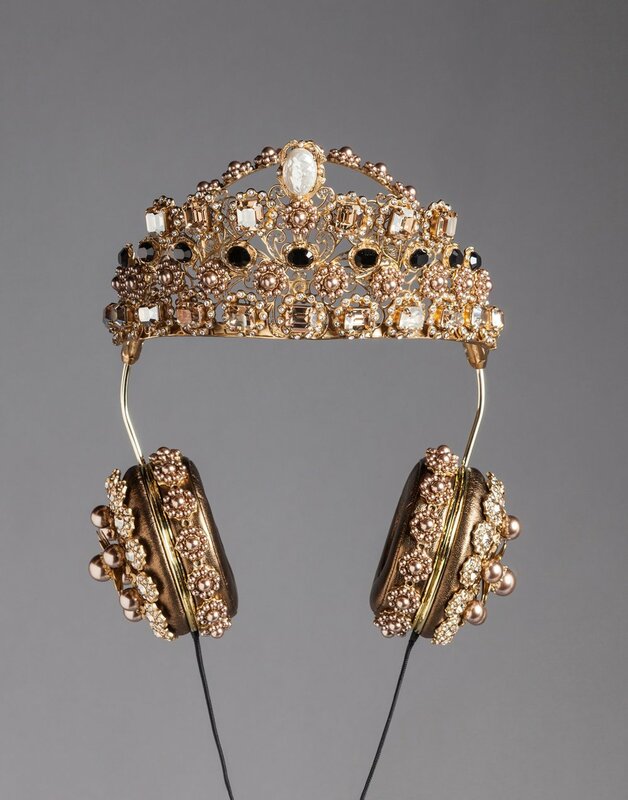 Pioneering a new category of wearable accessory, Dolce & Gabbana have come upon their latest and greatest hit: the headphone. 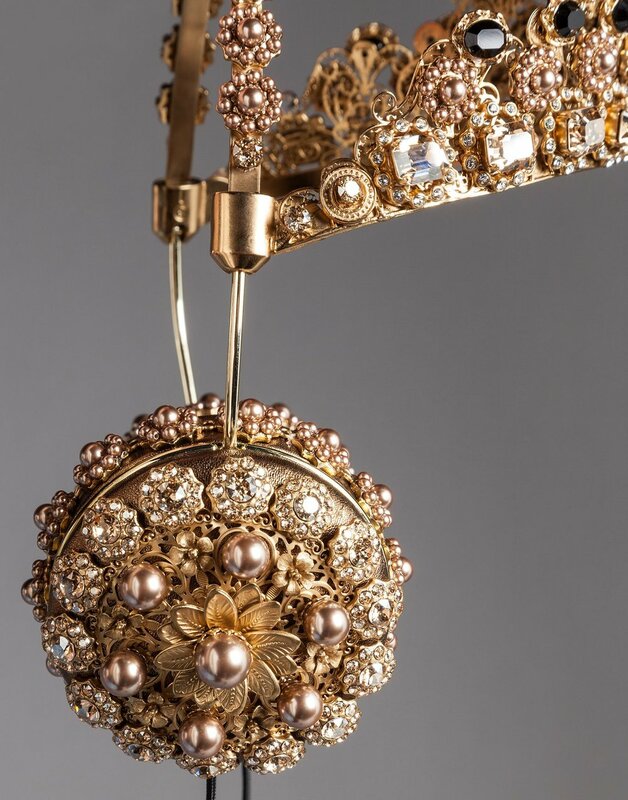 Embellished with golden filigree, Swarovski crystals, and iridescent pearls, these glittering headphones are the modern day equivalent of a royal tiara. 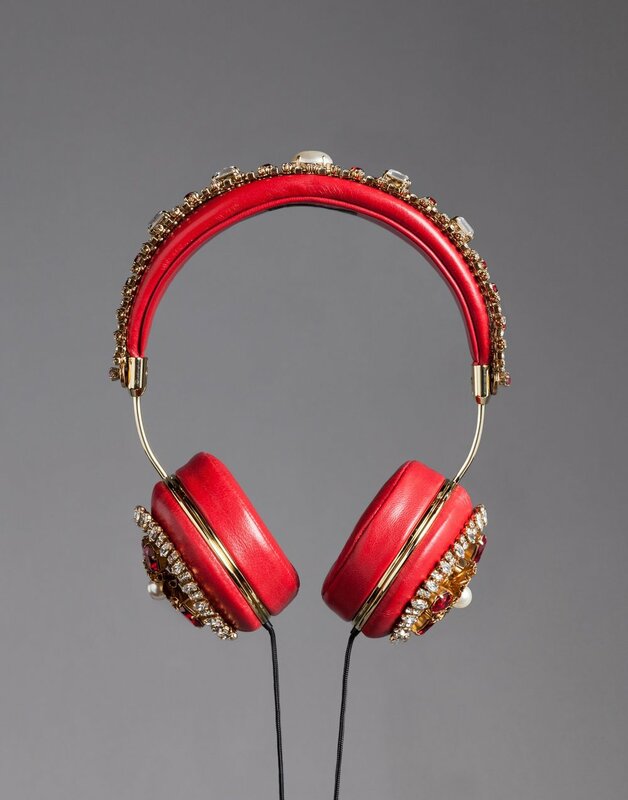 Manufactured in collaboration with the audio company Frends, these opulent headphones are the latest idea to come from the innovative minds of designers Domenico Dolce and Stefano Gabbana. Pushing boundaries for being the first designers to endorse online media and invite bloggers to the front row, the pair are now embracing personal electronics as the next fashionable frontier. Their last few runway shows have taken this idea even further, featuring models carrying mobile devices while streaming live-feeds and selfies direct from the catwalk. An endorsement from superstar Rihanna hasn’t hurt either, a simple tweet sent out to promote her latest album “Anti” propelled the $9,000 golden crown style to sell out within 24 hours. 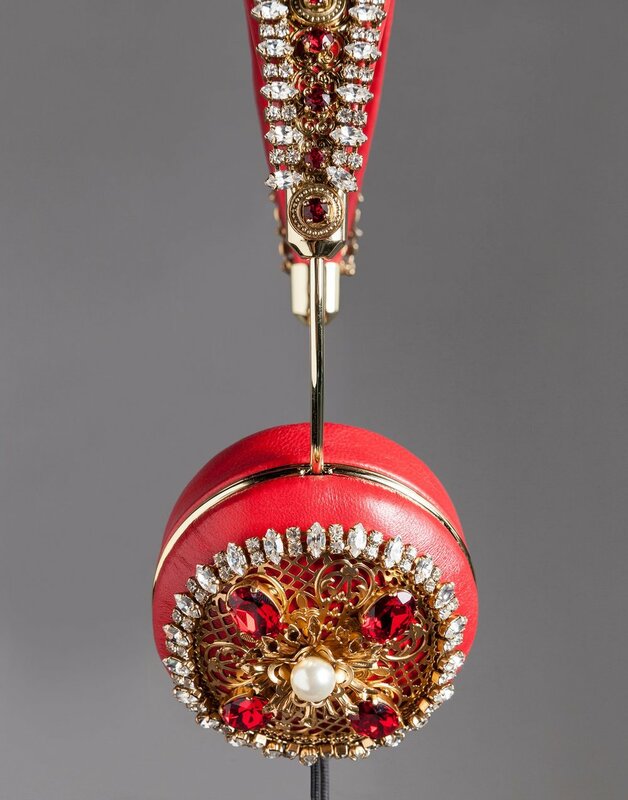 Shine bright like a diamond D&G, bejeweled headphones have become a girl’s newest best friend.